Looking for the best dogs for cats? 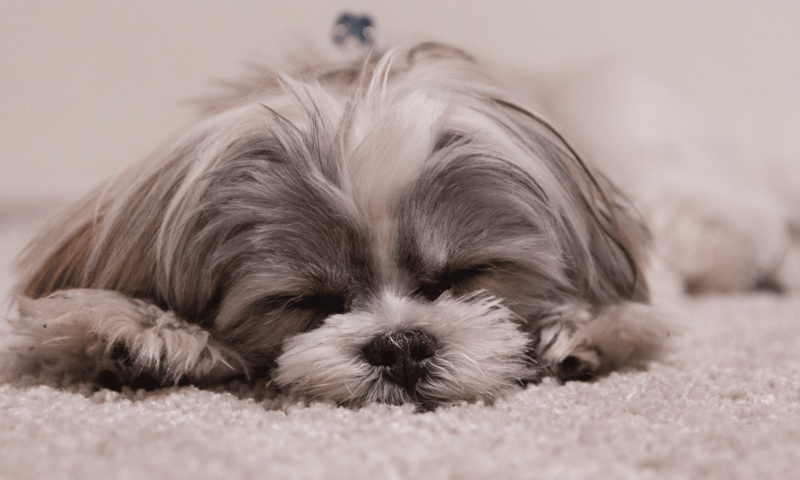 Meet five cat-friendly dog breeds that generally (no guarantees!) adore, tolerate — or at least won’t torment — your family’s cats. A Golden Retriever is among the best dogs for cats. Photography courtesy Bill Wheeler, coloradoequestrianacademy.com. I’m an athletic gundog, developed in Scotland to retrieve fowl for hunters. Lord Tweedmouth, one of our main breeders, encouraged my ancestors to love water. Now that’s a trait we don’t share with our cat buddies. Although bred strong for work, I have a sweet spirit and a gentle mouth. When we retrieve, we carry birds without damage. No one wants to cook mauled fowl! Our kindness carries over to the family’s animals, cats included. But of course, socialization is the key. If we’re exposed to friendly cats or raised with cats, we’ll likely build positive associations. Even later in life, because we’re highly biddable, we’ll tend to accept new cats to please you. We generally view each newcomer (of any species) as a possible playmate! Cesky Terriers are cat-friendly dogs. Photography courtesy Barbara Hopler. You may be surprised to see a Terrier on this list. Or perhaps you’ve never even heard of me? We’re a relatively rare breed, a family-loving hunting dog developed in Czechoslovakia. My ancestors were bred as robust, short-legged dogs. With our easy-to-clean coats, we transitioned into the house with minimal mess. Less scrappy than most Terriers, many of us tolerate (and actually appreciate) cats. Now for a caveat: obviously some individual dogs, regardless of breeds, don’t like cats. Maybe they had a bad experience, or perhaps their people forgot to socialize them. Now for a secret I’ll acknowledge: the use of barriers may inadvertently entice us to chase. It’s a good idea to socialize us to other animals with supervision, not gates. 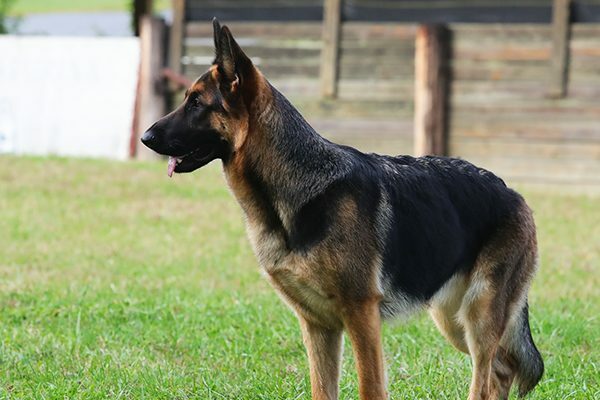 A German Shepherd Dog’s loyal nature is perfect for getting along with cats. Photography courtesy Deborah Stern. A renowned problem solver and protector, I was developed by Captain Max von Stephanitz in 20th-century Germany from sheep herding dogs. We’re used for police and military service, guide work, sentry duty, search and rescue, therapy — and any canine job you can name. My intelligence, trainability and loyalty to family are unrivaled. If you tell me to chase cats out of the yard, I will. 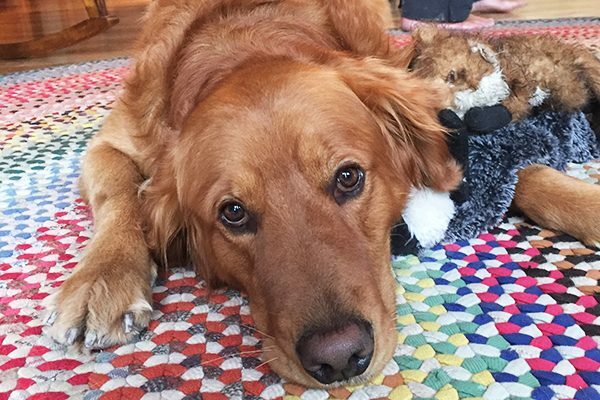 If you tell me a cat is a family member, I’ll protect him — which gets me on this list of cat-friendly dogs. I concede I’m bossy around other animals. What herding breed isn’t? Not even I, however, can figure out how to herd that darn cat! 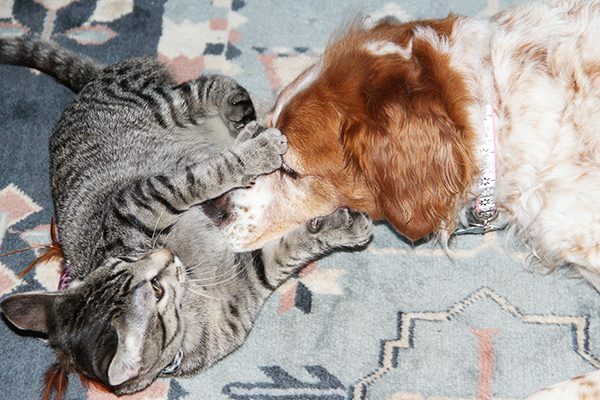 Brittanys make the best playmates for active cats. Photography courtesy Kathy J. Yaccino. I’m leggy and lively, a great playmate for active cats but perhaps an annoyance to lazy cats. To explain my history, we need to talk about France, British hunters and canine romance. English gentry took their Pointers and Setters to Brittany to hunt woodcock, and left them there between hunting seasons. My forefathers may have mixed with native spaniel types. In time, we developed into a popular hunting dog, both a Pointer and Retriever. Cheerful and social, I’m typically patient and playful with the family cats. If your cat begs for a game of pursuit, the only damage done will be to his ego: I’m remarkably agile and quick with the chase! 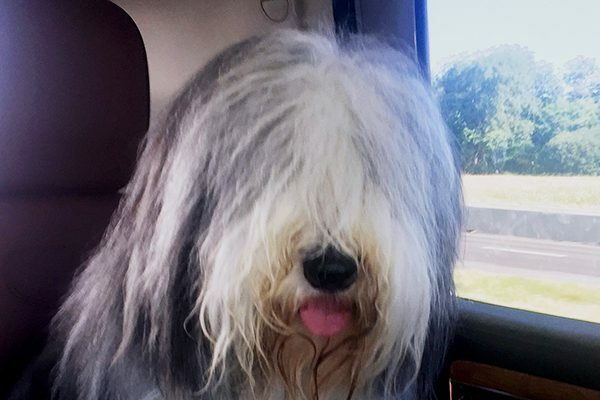 Bearded Collies are, like cats, independent. Photography courtesy Debbie Chandler. With ancestors likely bred down from European Komondor, we were developed in Scotland for herding sheep and cattle. I worked with my people, but I also herded independently. Therefore, I still possess an independent spirit and appreciate a cat’s similarly self-governing streak. I’m described as “bouncy” — partly for the jumping approach I use to control unruly sheep. But I’m also happily bouncy in play. Some, but not all, cats appreciate my enthusiasm. I’ll do my best to match my bounce with the cat’s pounce! 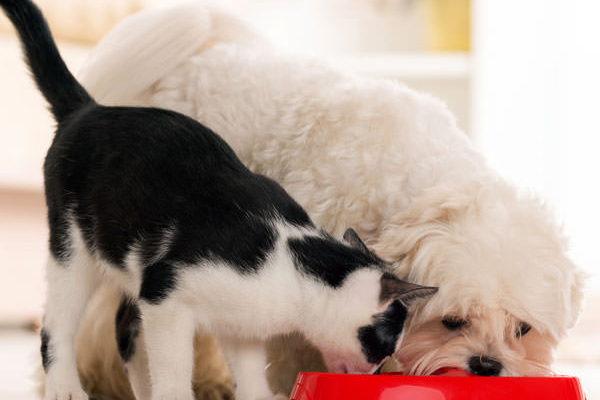 Tell us: In your opinion, what are the best dogs for cats? The post The Best Dogs for Cats? 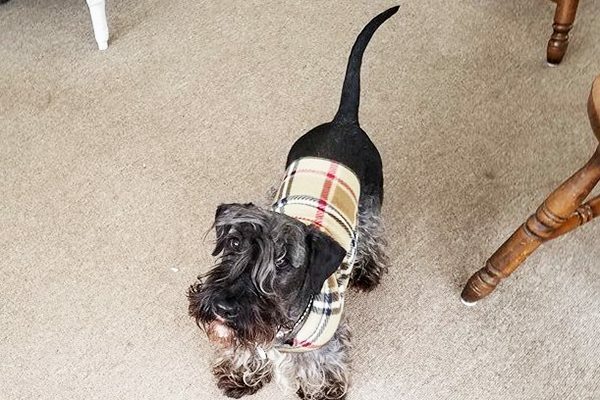 Try These 5 Cat-Friendly Dog Breeds appeared first on Dogster.